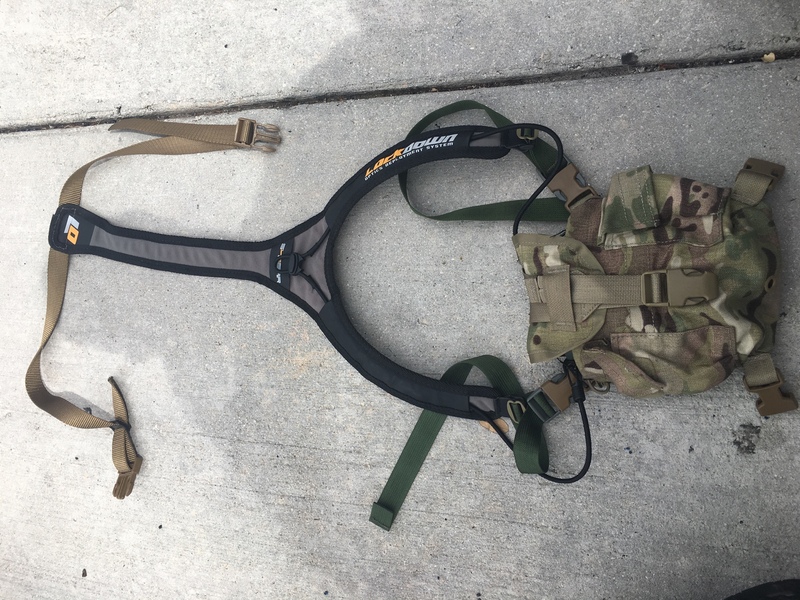 I've been in the market for a bino harness. I'm testing a used Kuiu. I like it, but I'm not real crazy about the single straps for the harness to the binoculars. I will likely try a Marsupial Gear next, but in the mean time I decided to experiment with some stuff I had at the house. 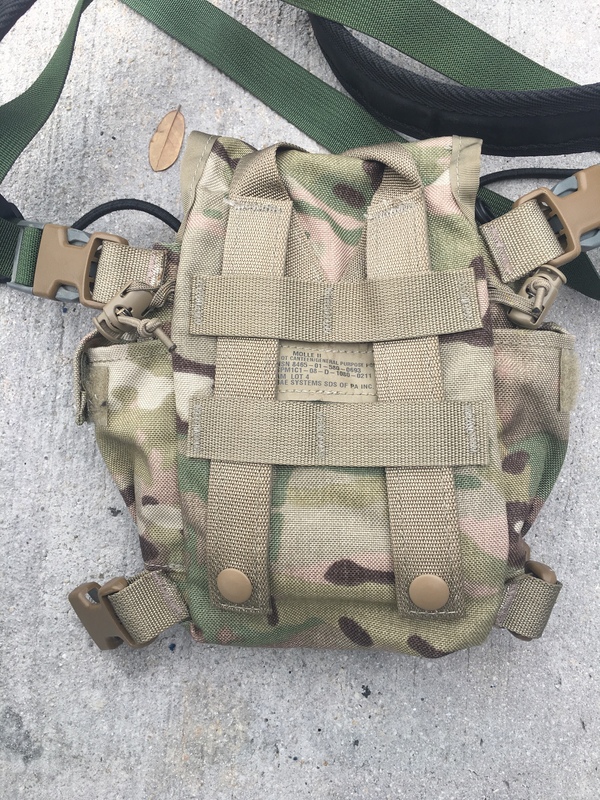 I had an original S4 gear harness. I never liked the lower elastic strap, it never felt secure to me. The bino pouch part never really offered security for the binos or easy in/out access. I removed the lower strap and added a nylon web strap. I removed the pouch and used a military surplus canteen pouch. These appear to be 500D cordura. I sewed 1" loops at the four corners and added split bar female buckles. 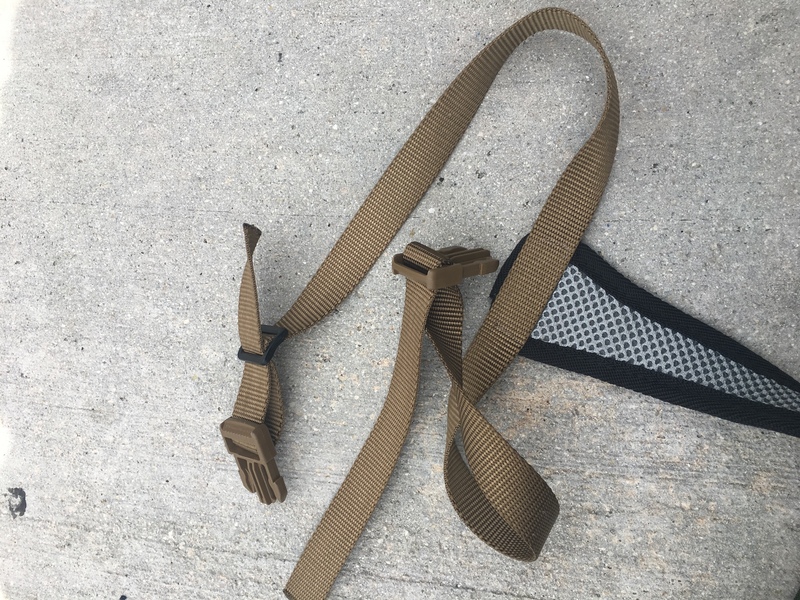 The top of the harness had loop locks. 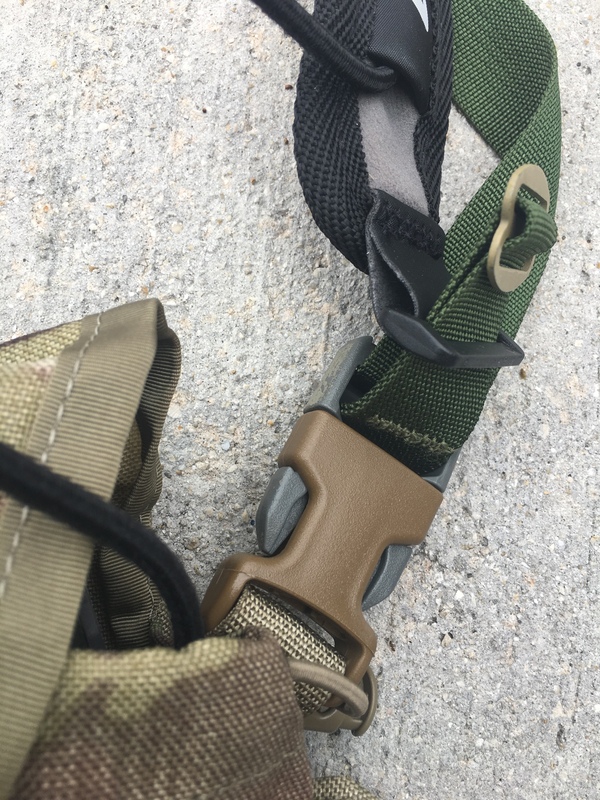 I simply used an existing strap with metal triglide on one end and male buckle on the other. This provides necessary adjustment. It's simple and functional. I will need to add a little elastic to the bottom straps to increase comfort. The nylon webbing holds betters, but it feels like just a little more flexibility. Looks like you're on to something. Nice, simple design. Well done. What else would anyone use?????? I do like the S4's binocular straps. Are you planning on leaving the buckle on the front or installing some type of bungee system for opening/closing quietly? I haven't thought that far ahead. They buckle removes pretty easy, I don't have a handy hook for bungee. I could put a lever lock there and just run the webbing through it. It wouldn't always need to be tightened in. I just built my own as well. I've used an fhf gear and an AGC, like both of them but they didn't really fill a niche I was looking for. So I built my own out of an old pals chest rig. The pouch my binos are in sits against a double AR mag shingle. I can carry two mags or my cell and a pistol. 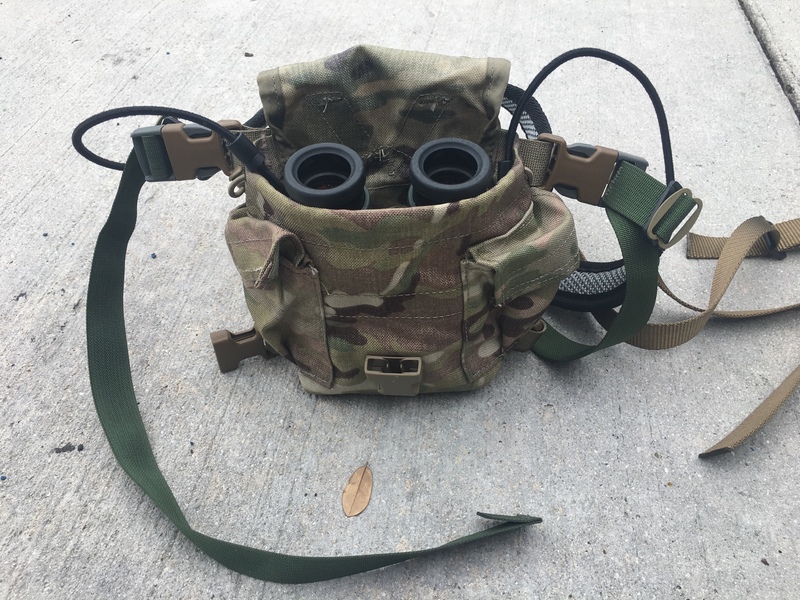 I have room on each side to attach another pouch for a rangefinder or calls as well. Sorry they are upside down. You could add a material under the lid to increase stiffness for closure coverage, just a thought. Looks good. 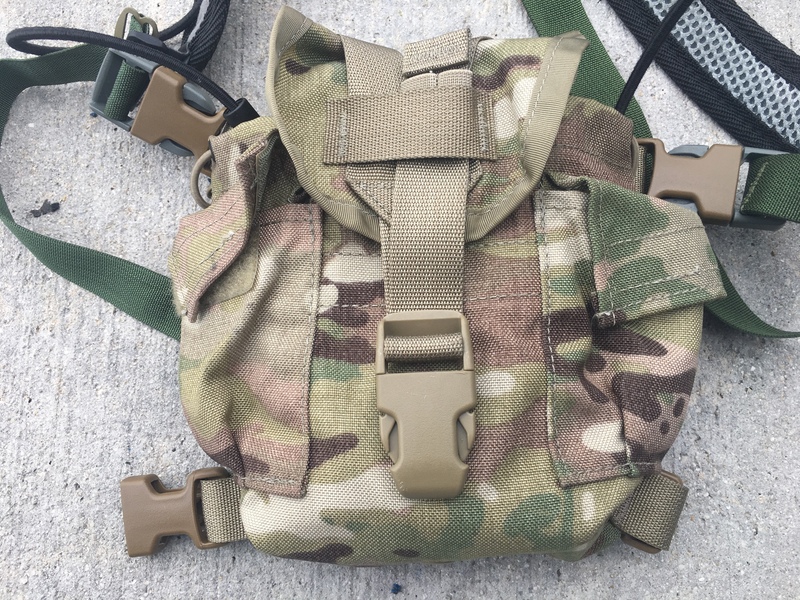 You might look into the new bino harness from Muley Freak as another option if you liked the Kuiu but didn't like the straps connecting directly to the binoculars.